This year’s Marathon benefited the Suicide Prevention and Crisis Service of Tompkins County. Katie Siple, Will Carlson, Alys Derby & Finn McMillan battled the urge to sleep, accepted donations and played some great tunes. The 2018 marathon benefitted Cinemapolis, Ithaca’s non-profit, independent movie theater. 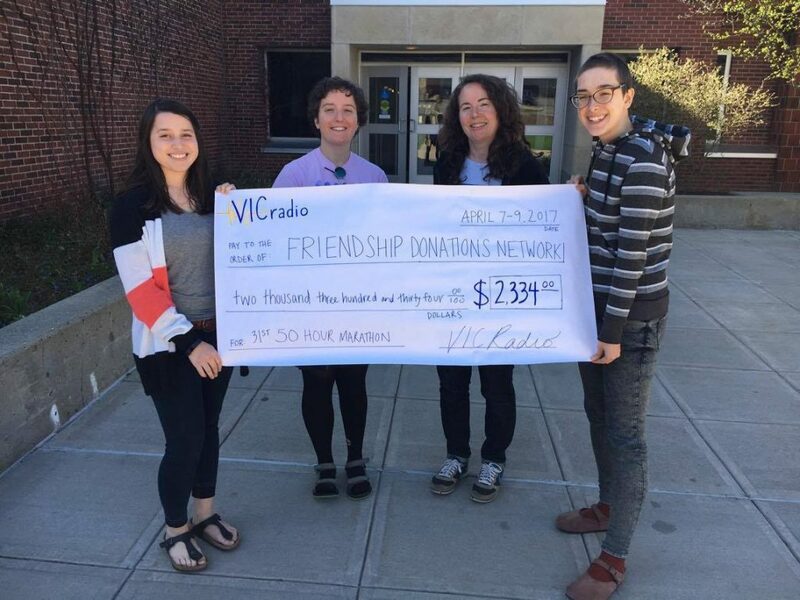 In 2017, $2,334.00 was raised for Friendship Donations Network.